Wine is no longer grown on the Estate (due to climatic conditions) but all wines sold at Rosebank are provided under contract and carefully evaluated by a selection panel and wine experts before inclusion into the Rosebank range. 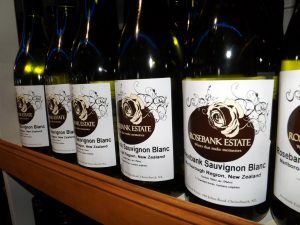 Wine tastings make for a wonderful casual afternoon with friends or an excellent start to a private event or function and also allows you to try some of our wines before purchasing from our cellar (which is now available on line www.cellar.rosebank.co). 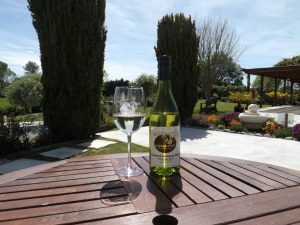 Wine tasting are fun events, so do not rush it, take time to enjoy the beauty of it. 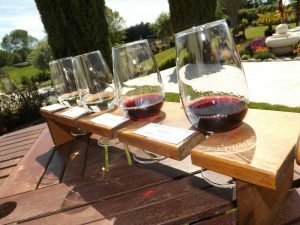 Normal single wine tastings are $7.50 for a selection of four wines presented on beautiful wooden trays (45ml per glass). Wines with a cheese platter starts at $22 and is a great way to spend time at Rosebank. Currently wine tastings can only be done for groups of 2+ . Large groups can be accommodated. All wine tastings are subject to bookings in advance.